As a West Coast 3pl company, we see a variety of products and materials that require careful distribution. Occasionally these products contain or are made up of hazardous or flammable materials. Many products that we use each day, such as aerosol hair products and essential oils contain potentially hazardous material. When storing or distributing these items, hazardous regulations must be followed. Before you ship any product to Hopkins, please refer to our prohibited materials list to ensure your products do not contain any of the prohibited hazardous class goods. If you have special distribution needs you require from your 3pl, Hopkins may be the western distribution company for you. 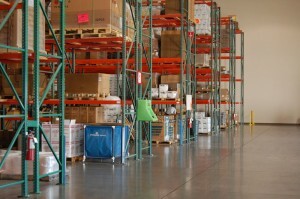 Find out more about how our distribution services can accommodate your specific needs and contact us today. Thank you for all your help over the past few days. We really appreciate your efforts in getting all the orders out. A huge task - incredibly well managed and performed!